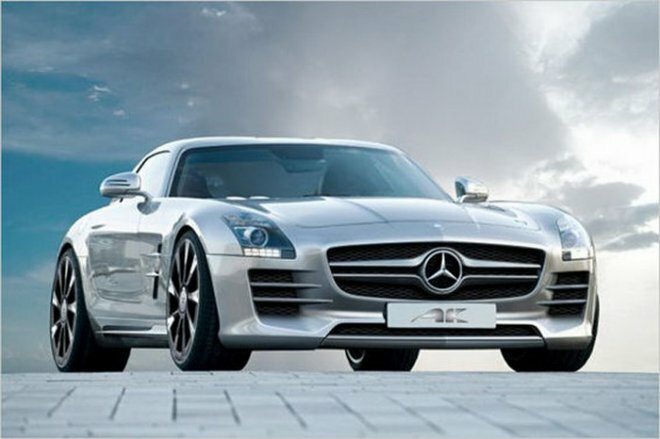 German firm AK-Car Design joins the parade of aftermarket tuning houses tweaking the all-new Mercedes-Benz SLS AMG 'Gullwing' supercar. For now, the company's offerings are limited to an exterior package that includes a restyled grille, new front and rear bumpers, side skirts and reshaped diffuser housing two sets of tail pipes. The new alloy wheels and the decorative trim on the B-column and the air-vents on the front fender complete the package.